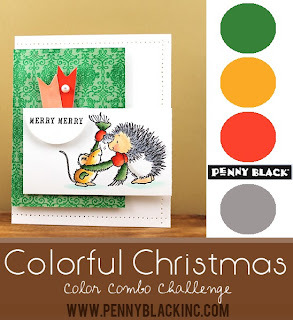 We are halfway through the Color Combo Challenge at Penny Black this week and I hope you are playing along. Go ahead and click on the banner below to see the rules and how to submit your creation for this challenge. I have decided my holiday stamps are lost in snail mail land. I cut the feathers with my Silhouette and the main card opening to match. Stamped Floral Applique (40-238) and Letter Background (1999L) onto the feathers after inking them with Memento inks. The sentiment is from the Tree-mendous (30-165) stamp set. 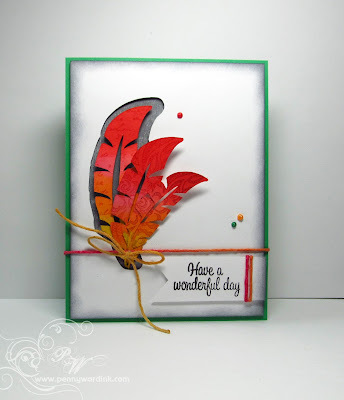 Some Lawn Fawn cord and my ever present Liquid Pearls finish the card. I love how you have used the color combo!! 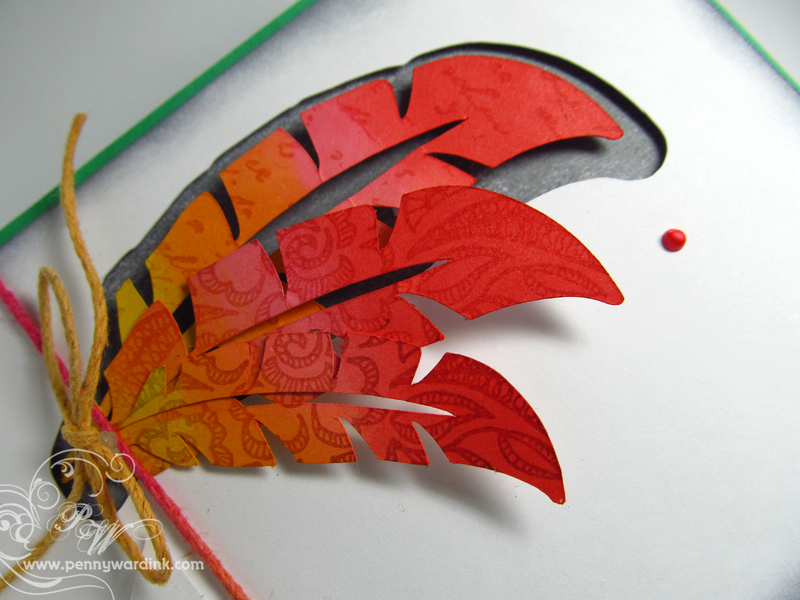 Love the feathers and the cut out on the card base ... I just love the card!!!! Happy hump day to you, too!!!! Love your design and those gorgeous feathers!